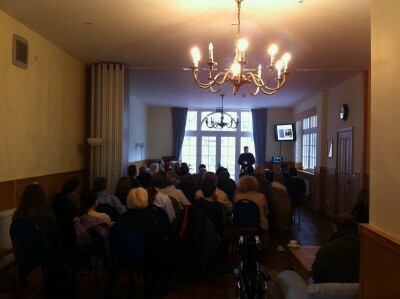 There was a full house on Saturday for Fr Jerome's first talk on the Catholic history of Oxford. In this first talk, Fr Jerome spoke about Oxford before the University: the founding of the city by St Frideswide, the problems with the Danes, the collegiate church of St George and the thirteen parishes established in Oxford in this period. This coming Saturday he will move onto mediaeval history with "Saints and Scholars". Also on Saturday, Fr Daniel showed a group of students from the University, and visitors from Catholic chaplaincies in the south of England, around some of Catholic Oxford. They began by praying at the supposed tomb of St Frideswide at Christ Church. 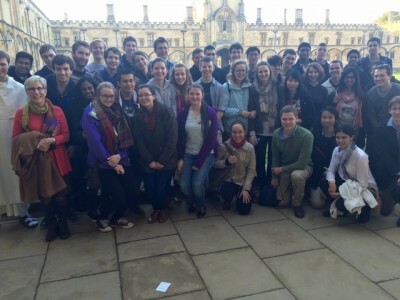 They then headed to Merton College, before going to see where Blessed John Henry Newman prayed in the chapel at Oriel and then where he preached in the University Church. Br Samuel Burke, O.P. showed them Blackfriars, and finally all sang the Salve Regina before Our Lady of Oxford in our church.